Todd London is a musician with a wide range of skills and experiences. Most recently, Todd has been performing with the Nashville Praise Symphony, Alabama Symphony, Chester Thompson, Matrix Percussion Trio, Belmont Faculty Jazz Ensemble, Suzy Bogguss, Orchestra Nashville, Pan In Harmony Steel Drum Band, Deep Grooves Steel Drum Band, Coral Bay Steel Drum Band, and Egyptian Love Cookie. Through his association with the Nashville Chamber Orchestra and Orchestra Nashville, Todd has performed at the Schermerhorn Symphony Center with artists such as Donna Summer and Wynonna Judd, and at both the Bonnaroo Music Festival and the historic Ryman Auditorium with Trey Anastasio. In 2005, Mr. London performed with the Nashville Jazz Workshop’s George Shearing Ensemble at the IAJE Convention in Long Beach, California. Todd has also performed as a featured vibist and percussionist in numerous ensembles from the Nashville Jazz Workshop such as the Cal Tjader Ensemble, Cuban Music Ensemble, and Brazilian Music Ensemble. In the past several years, he has been an active teacher and performer in the area of contemporary worship music traveling to numerous places throughout the United States and abroad. Todd recently appeared on the PBS TV special, Orla Fallon’s Celtic Christmas, and was featured on WPLN’s radio program, Live In Studio C, with Chester Thompson. He has also appeared on Nashville Public Television’s Recital Hall as a featured performer. He may be heard on Anhedonia and Human Arts record label recordings as well as numerous independent releases. Todd’s compositions have been featured on shows such as Guiding Light and As The World Turns. He has also composed the music for two children’s ballets commissioned by the Nashville Ballet, The Singing Tortoise and The Emperor and The Nightingale. In addition, Todd has composed numerous works for percussion and steel band. He has received recognition from the National Academy of Television Arts & Sciences for contributions to the Guiding Light’s Emmy Award-winning Achievement for Outstanding Achievement in Music Direction and Composition for a Drama Series (1997-1998, 2006-2007, 2007-2008) and for Outstanding Original Song (2000-2001). 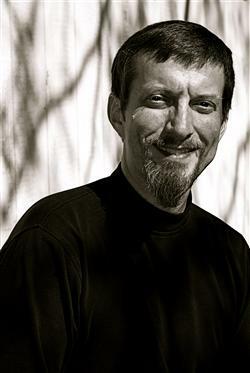 Todd holds the Master of Music degree from the University of Georgia at Athens with a major in Percussion Performance, where he studied with Dr. Thomas McCutchen and Dr. Arvin Scott. His Bachelor of Music degree is from Belmont University in Nashville with a major in Commercial Music Performance, where he studied with Sam Bacco and Dale Armstrong. Todd is currently an adjunct faculty member at Belmont University in Nashville. He teaches applied percussion, ethnic percussion, commercial percussion seminars, and directs the Belmont World Percussion Ensemble. He has been on the hosting committees for the Percussive Arts Society’s Tennessee Day of Percussion in 1999 and 2000, and the International Convention in 2001 and 2004. He has served as an adjudicator for the Nashville Symphony Young Artist Concerto Competition, the Georgia High School All-State Band and Orchestra auditions and South Carolina’s State Solo Festival. He has also authored several drumset articles for Mel Bay’s Percussion Sessions website.